Challenging mediocrity and the norm by teaching innovation and creativity. To learn more about Roberta Ness, visit her website. Researchers often ask, “Why isn’t science solving the biggest problems of the modern age?” In the health arena, scientists predict that our children will likely be the first generation of Americans to have lower life expectancies than their parents. Thirty years and $100 billion into the war on cancer age standardized death rates from adult cancers have declined only modestly. Overweight and obesity have become normative with profound health and economic consequences. Rates of prematurity, a sentinel, national health indicator, are on the rise. It all seems like an indictment of science. Moreover, American science is losing ground in the international arena. In reviewing citations from 1997 to 2007, America went from marked preeminence to a much closer first in front of China’s rising star. A recent editorial in Science decried that America is losing its hegemony in science. What is wrong? Thomas Friedman, in his provocative book, The World is Flat claims that there is only one way for America to maintain its competitive edge in an increasingly multinational world economy: innovation. Google innovation and you get 96 million hits. Innovation recently became one of the handful of key criteria used by National Institutes of Health peer review panels in scoring grant applications. Kuhn in his classic text, Scientific Revolutions identified innovation as the way to move from normal science swirling around at a single level, to the next level. If innovation is so critical to our nation’s scientific enterprise, we must place great emphasis on teaching it. Teaching innovation must be innovative in its own right. Analyzing case studies and or using current knowledge are not innovative. Providing creative tools and using hands-on exercises, teaching new perspectives and breaking through ideas of common thought - those concepts instruct students via innovative practices giving them tools to truly challenge current thought processes. Dr. Ness and Jack Smith, PhD, dean of the UTHealth School of Biomedical Informatics, have developed and taught a graduate course entitled, Innovative Thinking to students from the UTHealth School of Public Health and School of Biomedical Informatics. The course is based on two basic tenants: 1) Innovative thinking can be taught; 2) Skill at creative thought is achieved through an understanding of innate cognitive barriers, application of methodological tools, and practice. Indeed, this class views the development of creative ability to be like the development of mathematical ability, that is, although some individuals are intrinsically more talented, most can reach increasingly elevated levels of competency through training. The Innovative Thinking curriculum has the following components. First, we identify, so as to overcome barriers to creativity. Normal thinking is constrained by established cognitive biases and cognitive frames. This limits the acuity and comprehensiveness of the observations needed to consider all aspects of a problem. A second dimension in Innovative Thinking is to provide methods for thinking out of the box. In particular, we practice techniques that increase keenness of observation, fluency of idea generation, and heuristic (non-linear) thinking. A third dimension of the course develops individual and group dynamics. Each student is taught to trust their own instincts. From our earliest childhood experiences in school, we are taught to conform. Originality is effectively the converse of conformity, so it is considered somewhere between ignorant and subversive. By the time we get to graduate school, we are skilled at parroting rather than questioning, lest we fail. Fear of failure induces us to write jargon-laden scientific papers and fear of failure translates into writing grants that do not stray far from the mainstream of scientific dogma. In Innovative Thinking, we teach students to play and break rules and question. The final step is application. In-class exercises allow students to practice innovation tools. Group projects are structured to heighten students abilities to pose a problem, powers of observation, and use of class insights to find innovative solutions to their problem. 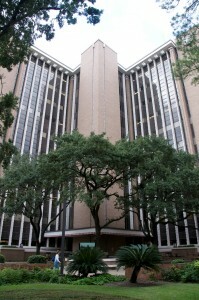 Since teaching Innovative Thinking, groups such as the National Cancer Institute; National Institute for Child Health and Disease; The Academy of Medicine, Engineering and Science of Texas, The Institute of Medicine, and the American Association of State Colleges and Universities have requested to learn about it. Students taking the course have commented that “It is the best course I have ever taken”, and “It put the fun back into science”. Students introduced to the concepts in the above venues have begged for a way to participate in the full course. These enthusiastic responses prompted a desire to disseminate the curriculum. In the near future, Innovative Thinking will be brought to a larger audience via weekend sessions in a teach-the-teacher context. Students and would-be instructors of this method will receive hands-on training in the theory, exercises and application of Innovative Thinking. At the end of the training, future instructors should be prepared to independently offer Innovative Thinking at their institution. The first book from Roberta Ness, MD, MPH, on innovation has been published by Oxford University Press. Innovation Generation: How to Produce Creative and Useful Scientific Ideas describes the process Dr. Ness has taught in her class and lectured on around the world. Ness RB. Public health research priorities for the future. Pub Health Rev 2011; 33(1):225-239. Ness RB. Commentary: teaching creativity and innovative thinking in medicine and the health sciences. Acad Med 2011; 86(10):1201-1203. Ness RB, AAMC Viewpoint: Creating Innovation Incubators.